Jimmy Chang is a poker pro from Chicago, Illinois. He attended Columbia University and has been playing since 2010. Jimmy primarily focuses on Cash games, Multi Table Tournaments (MTT) and has extensive knowledge of Texas Hold’em, Omaha and other various mix games. In tournament play, the bubble is defined as the place right before you finish in the money. Playing the bubble can be both exciting and stressful. It is the point in a tournament when players tend to tighten up in fear of busting out before cashing. If you are playing just to cash, then the bubble could be your downfall. Here are some tips that will help you survive the bubble to make a deeper tournament run. Regardless how good you are, your one leak may be that you are not raising enough before the bubble. As the bubble approaches, you should never be limping into pots. There are so many players out there willing to fold better hands in order to make it into the money. You as a player should be playing to win and not just to cash. You must also take full advantage of this by exploiting your opponents’ unwillingness to gamble so close to the bubble. Say you’re in the hi-jack or cut-off position with KJ and it is folded around to you. This situation should be perfect for you to raise to steal the blinds and antes. A standard raise should suffice. Anything less and the remaining players will see it as a steal attempt and anything more and you may not be able to get away from your hand, if they choose to re-raise you. The goal should always be to take advantage of the players who are only trying to cash and avoid confrontations. To be a successful tournament player, you should already be looking into targeting weak players. This is even more crucial as you get closer to the bubble. 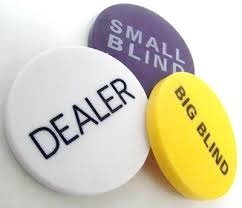 Players who fold to a lot of aggression are perfect to have their blinds stolen. Other players, scared to play all-in big pots are only looking to cash. You must put adequate pressure on them by raising them, when you believe that they will fold. Stealing as much as possible from weaker opponents and those just trying to make pass the bubble is a solid plan but even the most passive players will eventually get fed up and feel that they are getting bullied. Try to make sure that you are not stealing from the same players over and over again, They will eventually feel that they have had enough and will defend their blinds, so try to steal evenly among the other players so that your opponents won’t feel singled out most of the time. Aggressive play right before the bubble can pay big time. You should always be making a continuation bet after a pre-flop raise. Even if a player flat-calls a sizeable pre-flop raise, it is unlikely that they will go ahead into the hand with anything less than outstanding. By staying aggressive, you will get those weak opponents to fold marginal hands. Always be the final bettor or raiser. If you have the mindset that a bubble doesn’t exist you will then be able to take advantage of your opponents who are very aware of the bubble consequences. Playing to accumulate chips, making the final table and taking down the whole thing should be the only thing you should be focusing on. The more chips you acquire when it’s bubble time, the more leverage you have over your opponents. You will have more chips to survive any type of variance and you will also be able to put pressure without fear on those who are simply there to make the money. Good luck and good variance to you all!!! As we approach the middle stage of the tournament, the antes will be increasing more and more. Once that happens you will need to open up your game and play more agressively. This is the stage that you need to accumulate chips as fast as you can. The blinds and antes will become significantly large up to 10% of your stack. Types of action you will see in the middle stage will include pot stealing/re-stealing, loose players jamming UTG, and the loosest players shoving with marginal hands in early position. At this stage, tight aggressive players will have to open up their hand range and play more of a loose aggressive strategy. The middle stage of a tournament is where you will see what the unskilled players are made of. Players who lack knowledge of tournament equity and how to play agressively will get beat. During this stage you should also be re-raising against late-position players who are blind-stealing with marginal hands. You should be blind stealing from late and mid positions as often as possible. Strong tournament players will actually expect you to steal from late position. This is why stealing from mid-position is far more effective because it shows more strength. Your value of pre-flop pots at this stage increases with the antes. When you are playing from the blinds in this stage it is necessary to defend your hand by re-raising a late-position raiser once in a while. You should always avoid calling from the blinds to opening bets unless you have the implied odds or are limp-shoving. The most effective way to defend blinds is by re-raising (limp shoving). Unlike early stage strategy, you have to take bigger risks here and force yourself to steal. The most important thing when bluffing in a tournament (Scotty Ngyugen notes) is to make sure you still have outs in case you get called. Maintaining a loose/agressive image and preventing players from bullying you in my opinion is key during the middle stages. You want to have enough respect from them to give you fold equity for your steals and a loose image to get value for your overbets and shoves. It is always good to mix up your game and not become predictable. 3-betting against weak opponents from early position is a excellent example of mixing it up. Always try to take advantage of weak players and make sure you are the bully and not the victim. It only takes a few of hands to show your authority on the table and if you’re seen folding too many times to re-steals then everyone at the table will take advantage and re-raise you. So remember, loose-aggressive play and you will win more pots with re-raises and bluffs . Players will think twice before raising ahead of you in an earlier position. Along with the High Hand Special,Player Appreciation Drawing and their 50k Freeroll, the Seminole Hard Rock Hotel and Casino is our pick for the best promo for the month of December. Click on the link below and check out what the Hard Rock has to offer. From Dec 5th to the 16th, the Palm Beach Kennel Club will be hosting the CardPlayer Poker Tour. Event 1 is our tournament structure of the month. The 3-flight $345 buy-in event which takes place from the 5th to the 8th of December will have a starting stack of 12k and 30 minute levels for the first 12 levels and 40 minute levels until the end of Day 1(Level 21) or until 12% of the field remains. Along with the 100k guarantee, it is definitely a tournament worth playing. The number one goal in a poker tournament is to win it. In order to get yourself into that position you will need to survive through various stages where the focus should be more short-term. Many variables change during the course of a tourney like opponents, stack sizes and blinds. These various factors will affect how you adjust strategy as the tournament progresses. In the early phases, you will have a large stack relative to the size of the blinds. Normally your stack and the average stack will both be considerably more than 50 big blinds. During the middle phase of the tournament the blinds increase and you will usually have anywhere between 15 and 50 big blinds. Sometimes even less than that. The middle phase usually ends when the tourney approaches the bubble. If the top 100 players get paid in a tournament for an example, the middle phase will stop when there are roughly 120 to 150 players remaining. Early in the tournament your stack is huge compared to the blinds. It doesn’t cost you a lot to fold weak hands and wait for good ones. Later in the tournament if you are short-stacked, you might be forced to play super aggressive with marginal holdings but that is not the case early on. If a hand looks dangerous, weak or mediocre, fold it! Do not call to grow the pot and then be left to make a tough decision. If the hand flops poorly, you should cut your losses by folding as early as possible. If you happen to have a very strong hand early you need to turn on the aggression. Make big bets or raises whenever you are given the opportunity. Always play solid hands and do not risk your stack with medium strength holdings. Avoid marginal hands which often develop to top pair without a solid kicker. Play very aggressive and straightforward with very strong hands like premium pairs or a set. Play speculative hands or small pairs if you can see the flop cheaply. If you miss the flop with speculative hands, let it go without losing any more money. During the month of November, the Palm Beach Kennel Club will be doing a $200 high hand promo every 15 minutes. At the top of each hour, the high hand winner will be able to draw for a tournament entry ranging from $200-$1100. 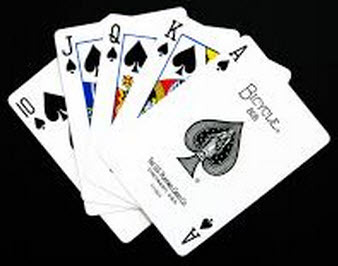 You must use both your hole cards to be eligible for the high hand and there is no minimum requirement for best hand. The WPT will once again come down to the Seminole Hard Rock Hotel and Casino from Nov 13 to Dec 2 for their WPT Rock and Roll Poker Open. There will be 20 scheduled events but the one that will get the best bang for your bucks will be their first event of the series. The 150k guarantee Event 1 which begins on Nov 13 and concludes on the 17th will have 8 different starting flights, 10k initial stack, 30 minute levels and a very reasonable buy-in of $125. It is definitely worth the investment. Position,Position,Position is everything in Texas Holdem. It’s definitely one of the most important parts of the game. The importance of position cannot be emphasized enough. You need to play very tight in early position and then loosen your hand range when you get closer to the button. Not only will you put yourself in a bad spot to get raised when you open early but you will have the same bad position for all betting rounds including the more expensive later rounds. By having position, your opponent(s) will have to act first and you’ll then get to react to their plays, making it easier for you to read their hands. Overall, you will win more and lose less on the hands that you play from better position. The benefits of position will allow you to play increasingly weaker starting hands profitably from better position. Remember that Texas Holdem is a situational game. There are many factors and variables that go into a decision before entering a pot. The above hand recommendations are for a typical (somewhat loose) game. You need to make adjustments if you are playing in a loose or tight game. In a very loose game without much preflop raising you can get involved with raising more hands from early and middle position, but if the game is tight with few players in each pot, and pots often being raised preflop, you must therefore play even tighter from each position. Tight aggressive play in a loose passive game should be the most profitable approach. So just remember, tight is always right. 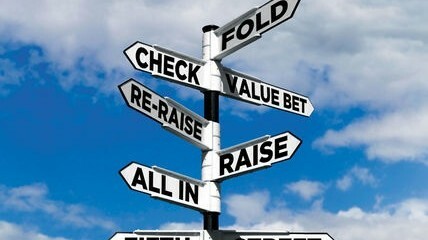 When I first started playing poker, I didn’t understand the right way of betting. I basically just followed the trend. If someone were to limp in, I would limp in after them. I thought that was the norm and if someone would re-raise, then they obviously have a monster hand. After studying the game much further I realized that I was definitely not playing correctly. To “limp” basically means to call a bet. If the blinds are 50/100 and you limp in, it means that you are calling the 100. I feel that most beginners and even intermediate players tend to limp into pots. They feel that by limping, they will not lose a lot of chips and also by limping they will be able to play more hands cheaply. If someone were to re-raise them then they can easily fold their hand and save their chips. I have also noticed that if someone limps into a pot and if they are raised on, they will call the initial raiser. Here are my thoughts on this. Firstly, you should never, ever limp into a pot. If you decide to ever play a hand, you need to make a raise to isolate players on your table. Getting to a heads-up situation would be the best scenario. Playing against one other person is much better than you playing against 3 or more opponents. When you limp and when everyone else limps behind, you are then giving all the players a look at the flop. If the flop is A73 and you have AK, you might be losing to someone who limped in with a 73. By raising you are getting rid of players who are playing those types of hands like 73. Also, if you are willing to call a raise then you should be willing to make the original raise as well. Now I know I just told you to never ever limp but there are some circumstances that limping would be acceptable. Some pros will limp with small pairs in hopes of hitting their set for cheap and some pros will raise. With small pairs, the only way you will profit is if you hit your set, therefore if you don’t hit you can easily fold your cards. With hands like AK, AQ, KQ, J10, etc., you will need to isolate by raising since there are more options for you to win based on what comes up on the flop, turn and river. So remember, no good comes from limping. It needs to be avoided as much as possible!